Sometimes, all you need for a good music video is some strobe lights and a ridiculous, but fun concept. 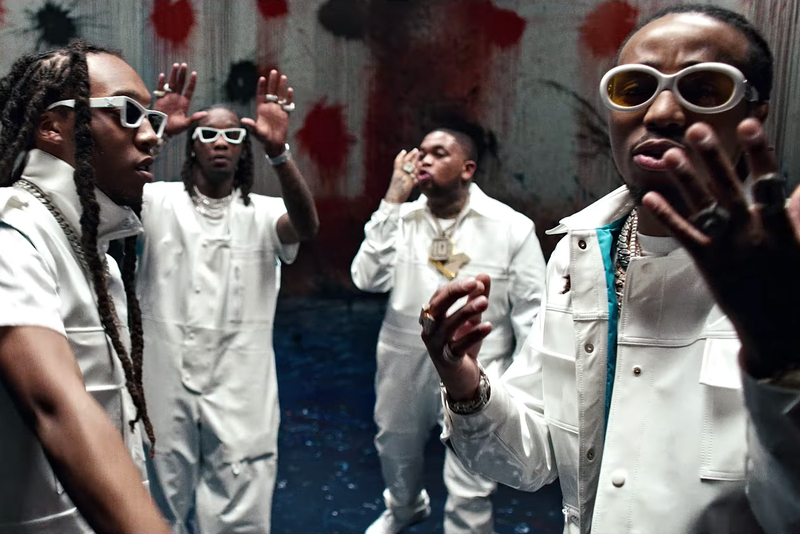 Thats exactly what Mustard and Migos put into effect for their Pure Water video, packing out the clip with vivacious models but turning the trope on its head by giving them a bucket of paint-filled water balloons and letting them go crazy. By the end of the video, everything from the models to the walls of the soundstage are awash with splatters of color  all except the icy principles, of course. Theres not a speck on their blinding white coveralls as they two-step their way through the mess, seemingly having just as much as the paintball fighters. I knew what it was when I first heard it though, Mustard previously explained to Zane Lowe, breaking down the origins of Pure Water. This is my first time working with Offset and Takeoff. Me and Quavo got an ongoing relationship cause we did the song Want Her a long time ago. Now with this song, it was easier. I feel like everybody grown, even myself. With me and Quavo, it was just tag teaming, getting everybody involved, but once it came together, it was like a match made in heaven type thing." What do water and paint have in common? Besides both being wet, nothing. Thats apparently enough to string them together because DJ Mustard and Migos new video, Pure Water is about fast and furious painting action. This isnt your regular easel-in-a-studio-apartment kind of painting.